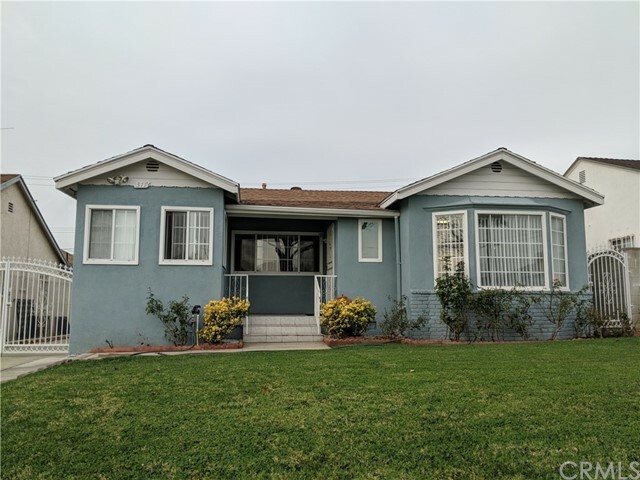 All Alhambra homes currently listed for sale in Alhambra as of 04/24/2019 are shown below. You can change the search criteria at any time by pressing the 'Change Search' button below. If you have any questions or you would like more information about any Alhambra homes for sale or other Alhambra real estate, please contact us and one of our knowledgeable Alhambra REALTORS® would be pleased to assist you. "The famed Pyrenees Castle. Originally built in 1925 by Sylvester Dupuy, it was inspired by the French castles he had seen while living in France. This magnificent French Chateau sits on just over 2.5 acres (115,690 sqft) of a private knoll with 360 views of the San Gabriel Valley and is the largest privately owned property in the area. A one of a kind opportunity which has amazing potential! Walled & gated, the long quarter of a mile driveway leads to a large motor court with center fountain & gardens, providing a tranquil & impressive first impression. The elegant property features 9 bedrooms and 10 baths, a grand marble foyer, stately wood-paneled living room and dining room with beamed ceilings, crystal chandeliers, original hardwood flooring, hand-painted murals, two full kitchens, butler's pantry, game room, hair salon, 2 home offices, separate employee entrance with segregated living quarters, and four garages. Many upgrades & improvements have been made." 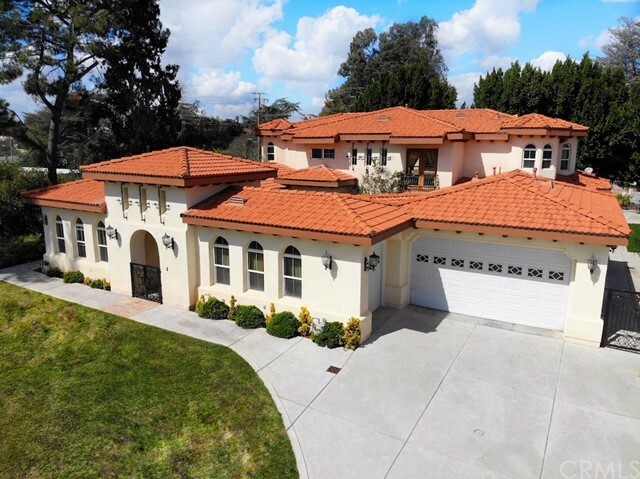 "Nestled in a peaceful North Alhambra neighborhood, this elegant, custom built Mediterranean-style home is a short walk from all the amenities that Main St. has to offer. This two-story, 5-bd/5-bath home is rich in both natural light and classic style. The gracious master suite and other bedrooms boast luxe jacuzzi baths and walk-in closets. A thoughtfully designed living room with a 19-ft high ceiling and plentiful glass doors and windows create an open atmosphere. Visitors feel truly connected to the serene gardens outside, perfectly combining inside and outside living. Every amenity imaginable joins to create an incredible compound and enviable lifestyle. A lush garden courtyard with a fireplace welcomes visitors through the main entrance. An elegant art gallery-style hallway offers access to two guest bedrooms and a guest bathroom with a claw-foot tub. A stunningly spacious kitchen with travertine floors and marble countertops is complete with an island, breakfast bar, and vast dining space. Upon ascending a luxe winding staircase, two upstairs master suites are connected by a family room overlooking the first story's living room. Both suites offer private access to an expansive outdoor deck along with an inviting view of Story Park. The home is replete with an entertainment room, game room, heated swimming pool, and dual garages with public parks and tennis courts next door, offering spaces to gather, grow, and celebrate." 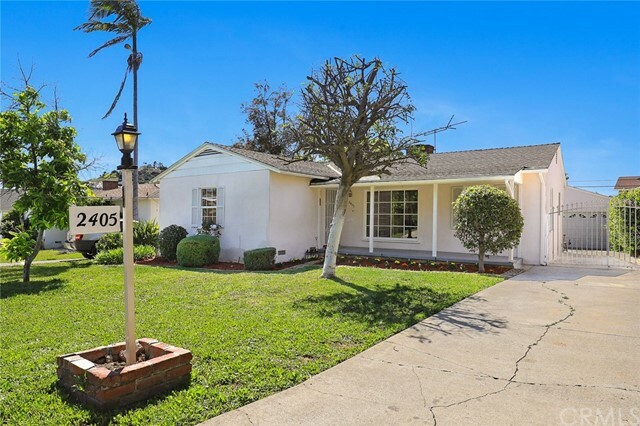 "Highly sought after Bean Tract location in the most desirable North Alhambra neighborhood. With its traditional floor plan, this beautifully maintained 3,676 sq. ft. two story 5 bedroom (1 down), 3 bath residence is rich in charm and character. Major addition was completed in 1990. Beautiful hardwood floors throughout the main level, with carpeting upstairs. Over-sized master bedroom suite that includes a sitting area, private balcony, 2 walk-in closets, and a master bath with spa tub. In addition to a large and open family room with its own fireplace, there is an adjacent and cozy den/office (with a closet) that looks out onto the back yard. Formal dining room and kitchen breakfast nook. Laundry facilities are located on the 2nd floor. Just a half block south of San Marino, this is a perfect move-in house for anyone looking for a large residence to call their home." "Stunning colonial mansion in the most desired area of North Alhambra, minutes from San Marino, restaurants, shipping centers and entertainments! 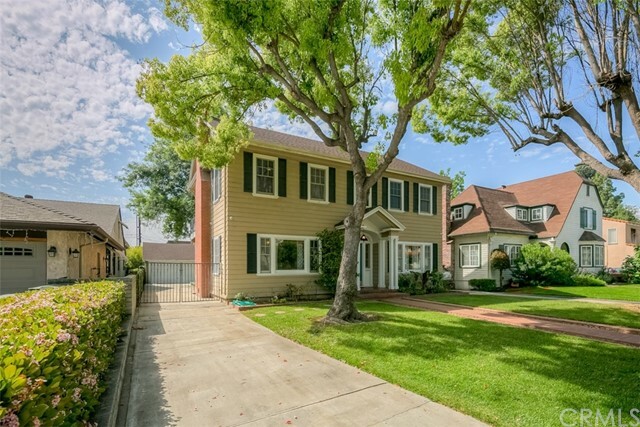 This two-story, 4 bedroom house is situated on a small tree-lined cul-de-sac. The whole house is charming with it's classic look of American colonial style, wood trims and moldings, each room bright with plenty of windows, plantation shutters, wood-panel built-in wall shelves in family room and beautiful stone-framed fireplace with wood mantels. Kitchen is updated with brand new counter tops. Also downstairs are a bedroom with a classy French-door to the patio and direct access to the backyard, bar in the family room and bathroom for convenience. Upstairs are a spacious master suite and an expansive patio under matured trees, two more bedrooms are also spacious and bright and a full bathroom. Outback is a private serenity backyard with grass area, perfect for a quiet afternoon or to host a party. The whole house freshly painted recently. Come see this charmer for yourself!" "Beautiful 2 story home located in a great North Alhambra neighborhood. This 2,219 sq/ft home features 5 bedrooms and 2 baths. One bedroom is being used as a family room. Large living room with beamed ceiling and fireplace. Large formal dining room. Updated kitchen leads to family room. Hardwood floors throughout the first floor with bedrooms carpeted. Electrical has been upgraded. Beautiful pool and spa, leads to large covered patio behind garage which includes a built in BBQ and pizza oven. The backyard is a true ENTERTAINER'S DELIGHT. This home is a must see." "Great property in a fabulous neighborhood of Alhambra. Extra large lot with 14,094 sq. feet and comprise of 3 bedrooms and 2 baths. One of the bedrooms is a master bedroom with full bath. Beautiful living room graced by a fireplace, formal dining room, kitchen with quartz counters, stove top, built-in oven and microwave. Laundry area is just off the kitchen. Spacious separate family room with built-in shelving. Backyard offers so much entertaining space. Soak up the sun and relax in the entertainer's rear yard with fabulous deck and sparkling swimming pool surrounded by lush plantings. Gated long driveway that leads to a 2-car garage. Central air/heat, hardwood floors throughout, recessed lighting and window shutters are just some additional features this house has to offer." "Luxurious Executive Home (PUD) in a nice Alhambra Area, with 4BRs & 4-3/4 Baths. Living Room High Ceiling w/Wet Bar. Crystal Chandelier in Dining Room. Marble Grand Foyer & double door entry. Oak Railing Staircase and Jacuzzi Tub in Master Bedroom. Built in 1988 and got ALHAMBRA BEAUTIFUL AWARD." "BRAND NEW HOME!! 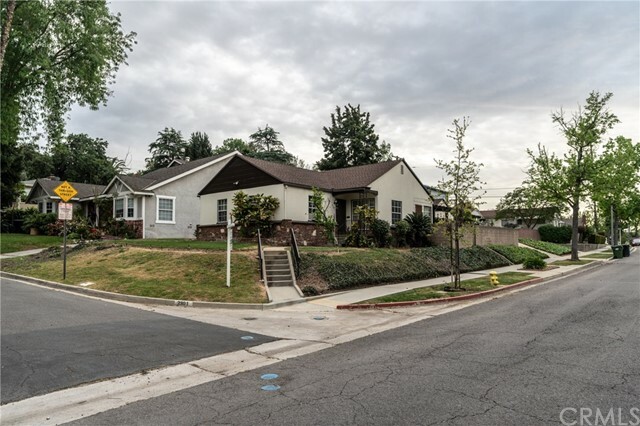 Single family house located in the heart of Alhambra. This Beautiful 2 Story New Home offers 4 BEDROOMS AND 3.5 BATHS (1 Bedroom on 1st floor). 1,806 Living SF. and 5,160 sf. Lot Size. 3 Bedrooms on 2nd Floor. Jack and Jill Bathroom. Great floor plan. Gourmet Kitchen with island + 2nd Kitchen for heavy cooking, granite countertops, nook, walk-in pantry. Upgrade Recessed lighting, wood flooring and tile flooring throughout. Tankless Water Heater. Central AC and Heating system. Fire sprinkler system. Upgrade interior and exterior paint, electrical wiring, copper plumbing, duel pane windows. 2 car attached garage. Low maintenance backyard. 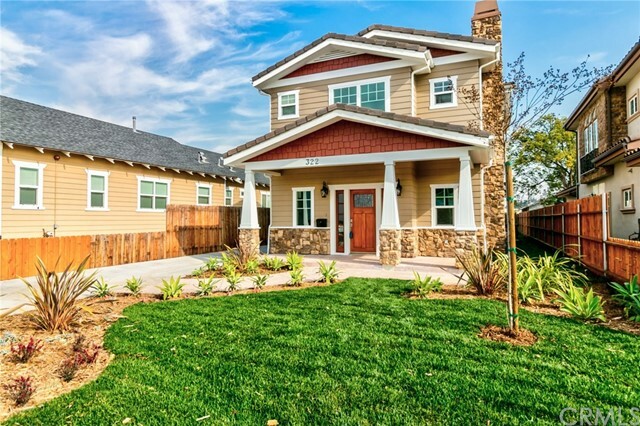 This new home is Minutes away from Costco, supermarkets and other retail shopping centers. It has convenient access to the 10 and 210 freeways. It is the castle on the block and offers the best price in town for a New House!! This is one home you do not want to miss!" 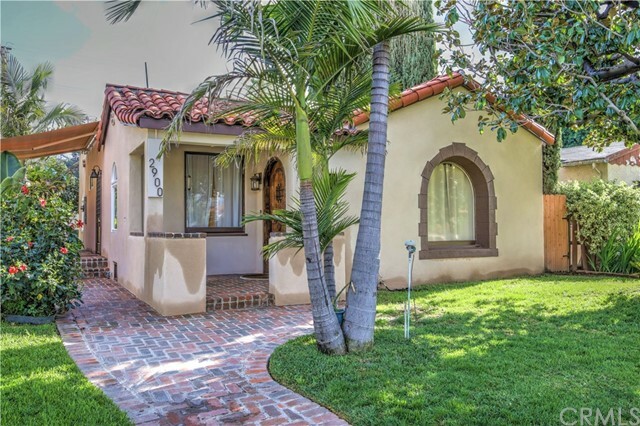 "Nestled on a beautiful tree-lined street is this charming one-story Spanish-style home in the desirable Emery Park neighborhood of Alhambra. Upon entry through the handsome peek-a-boo wooden door you are greeted by a living rm w/ a large picture window, brick fireplace, recessed lighting & gleaming hardwood floors. Gather around in the comfy dining rm that opens to the galley kitchen w/ detailed archways. Enjoy your morning coffee while you gaze out of the window in the breakfast alcove. The master bedrm features 2 walk-in closets w/ built-in shelving. Natural light shines bright in the 2 additional bedrms that share the hallway bath w/ lovely details adding to the original character of the house. Looking for a movie theater experience right at home? The living rm & step down family rm are pre-wired for surround sound. The backyard is perfect to play ball, plant your dream organic garden & entertain guests. 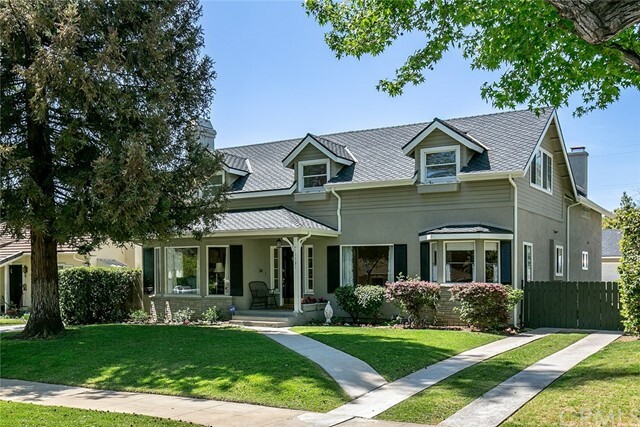 Conveniently located near Emery Park Elementary, shops, restaurants, 10/710 fwy"
"Single family home situated in the desirable Alhambra Terrace neighborhood, tree lined street close to Almansor Golf course and park. The updated home features full copper plumbing; the entire home has been rewired and upgraded main electrical panel in 2013. Newer electrical LED lighting. Newer central air installed in 2018. Remodeled kitchen and bathrooms. Hardwood floor throughout. Large master bedroom with light filled retreat. Manicured front yard. The backyard provides plenty of room for entertaining and basketball play. Two car detached garage. Fun event to enjoy the fireworks on the front lawn during the July Fourth." "Midwick Tract beauty. 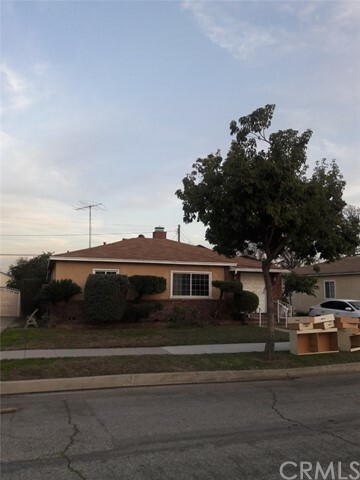 This lovely single-story home features 3 bedrooms and 2 bathrooms and an excellent location in close proximity to all things necessary for easy living in Alhambra. The bedrooms boast brand-new laminate flooring and are strategically laid out throughout this home to provide an optimal floor plan. Upon entering, you are welcomed by the spacious open living room that features gorgeous refinished original hardwood flooring and a lovely brick fireplace, that opens up to a sizable dining area. The kitchen features wooden cabinets, tile counter-tops and floors, and opens up to a convenient indoor laundry room. Gorgeous white French doors lead from the living room to a cavernous family room, a charming bookshelf, desk space, and a bright and airy atmosphere provided by the sliding glass doors that lead to the backyard. 2 bedrooms share a hallway bathroom while the Master suite is located in its own corner for maximum privacy and features its own full bathroom. This property includes a comfortably-sized backyard, detached 2-car garage and a driveway gate. 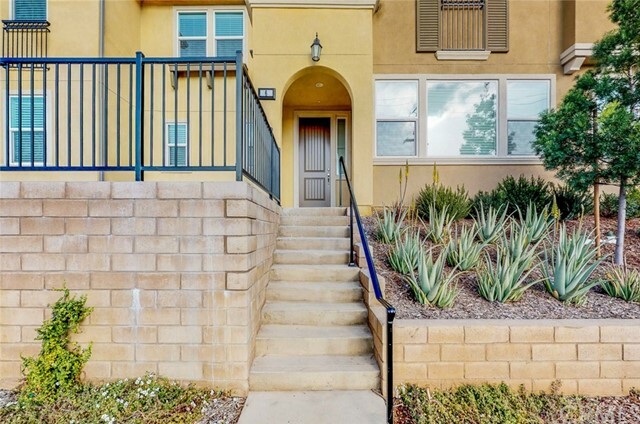 This home s prime location provides easy access to the I-10 Freeway and local hot-spots such as AMC Atlantic Times Square, grocery & shopping plazas, gyms, banks, supermarkets, and plenty of Alhambra s most tasty eateries!" "A luxury two-story upscale condominium in a safely gated community located in the beautiful city of Alhambra. 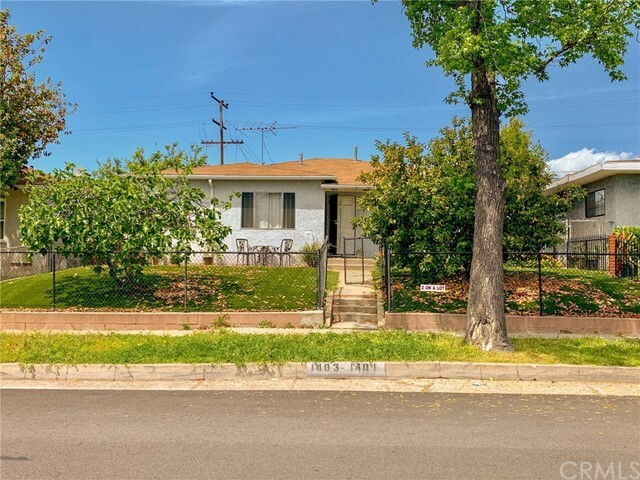 The home is conveniently located in the heart of the city and is walking distance to a multitude of popular restaurants, markets, retail stores, public transportation, movie theaters, postal offices, and other popular destinations in the San Gabriel Valley. The entire complex was painted and renovated in 2018 for a fresh look and feel. This home s ambiance is warm, cozy, and perfect for any type of household. The home has 3 Bedrooms and 2.5 Bathrooms with a balcony that extends out from the family room. The interior features mahogany hardwood and marble flooring strategically placed windows with wooden shutters and spacious living areas. The Master Suite has a bathtub and separate shower, his and her sinks, and a very roomy walk-in closet. The home has a laundry and drying machine conveniently placed on the second story to fulfill all your cleaning needs. The association amenities include a fitness center, recreational areas, a conference room, beautiful courtyards, an outdoor fireplace, BBQ grills, and waterfall fountains. There is secured subterranean parking with 2 assigned parking spaces." 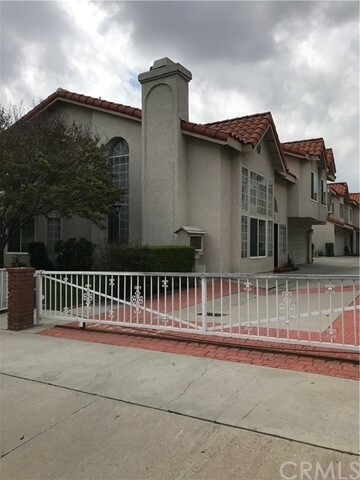 "Gorgeous home in city of Alhambra,conveniently close to shopping center and restaurants,walking distance to 168 supermarket and California supermarket ,4 bedroom 2 bathroom ,family room can be used as fifth bedroom ,huge house great for large family ,MUST SEE,won't last long ! 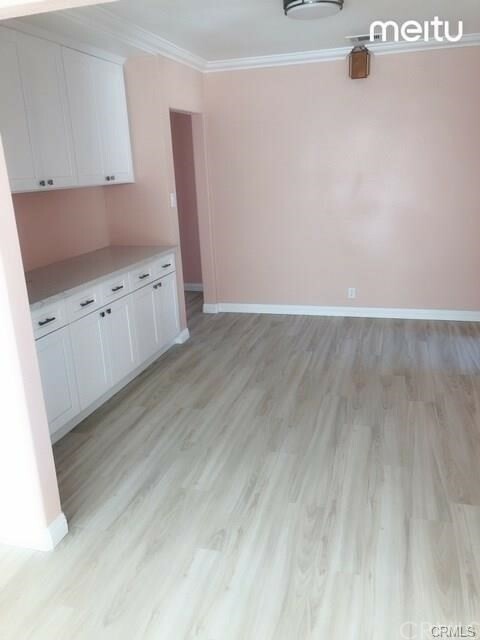 Yard has fruit trees with additional 2 bedroom (not permitted ).Don't miss to own this beautiful home in city of Alhambra!" "Location! Location! 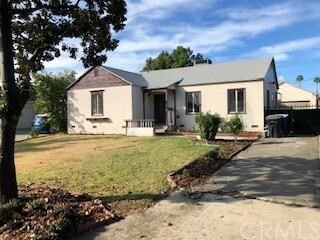 House totally remodel, move in condition. House has 4 bedrooms and 3 bathrooms. New plumbing. New hard wood floor. New central Air conditioner. New windows. Open kitchen and new bathrooms. Two master bedrooms. Detached oversize 2 car garage with attach guest room. Long drive way with ample room for parking and family entertaining. Walking distance to restaurants, market and bus station etc.........."
"Fantastic location! In the center of Alhambra!. Fully remodeled Charming Spanish style single level home with front porch. This spacious home has 3 bedrooms and 2 bathrooms (1,506 sq ft). A large open concept kitchen with island, a huge dining room and a Living room with high ceilings, a fireplace and a front arch window view. Brand new electrical and beautiful waterproof Vinyl flooring throughout the house. Another great feature is that a (753 sq ft) ADU (Accessory Dwelling Unit) is allowed to be built on this property. Close to Valley Blvd and public transportation, restaurants & supermarkets." "Charming and well maintained 3 bed / 2 bath 1,529 sq.ft. 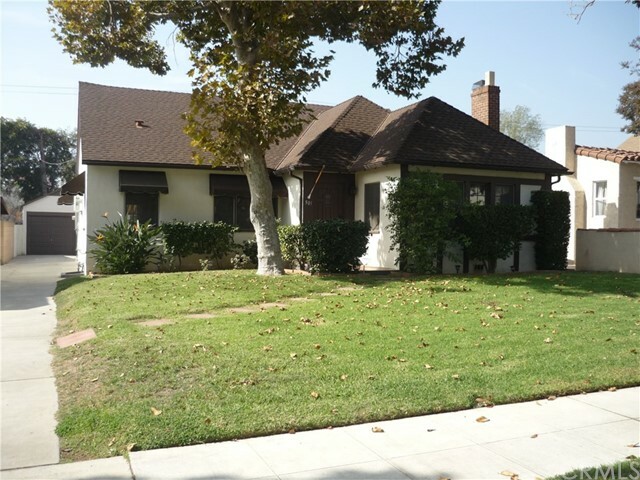 (7600 sq.ft Lot) property in a desirable location in Alhambra. Convenient access to freeway and public transports. Close to schools, stores. Nice curb appeal. Bright and airy living room with fireplace. Formal dining area with wood flooring. Updated kitchen with granite counter. Central air. Detached 2 car garage. Move in condition. Pre-existed additional bonus room behind garage and next to carport. Buyer verify with city for permit." "First time on the market in over 70 years! 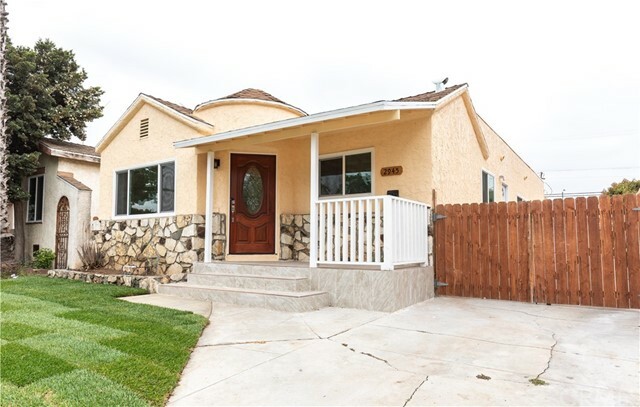 This Adorable Alhambra home is located on a tree-lined street in the Airport District Tract and features 3 bedrooms, 2 baths, living, dining and family rooms, an open concept kitchen with island which opens into the cozy family room. New double-pane vinyl windows, central air and heat system, along with new ducting, and all exterior walls have been insulated. Also included in total square footage is a permitted 261 sq. ft. enclosed patio being used as an office/den and workout room, which overlooks the back yard and 2-car garage. 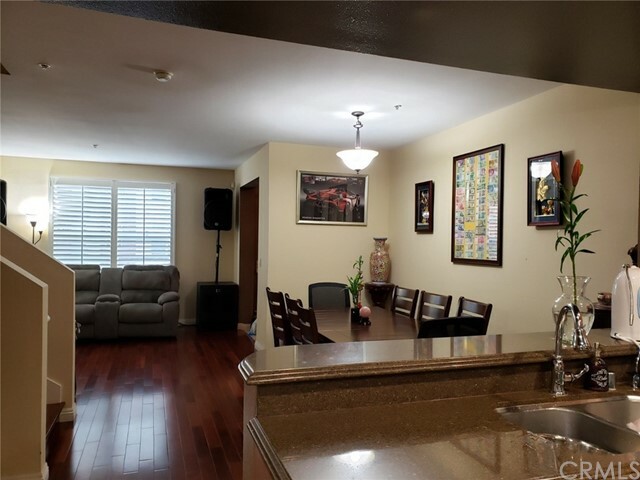 The home is centrally located to Cal State LA, County USC, Downtown Pasadena and Los Angeles, all types of restaurants, shopping and transportation. A Mark Kepple High School graduate lives here who's looking to pass on his family home to a new family to enjoy." "This is a large Family home with 4 bedrooms huge living room and Family room, Fireplace in both. Family room can be used as a 5th bedroom. 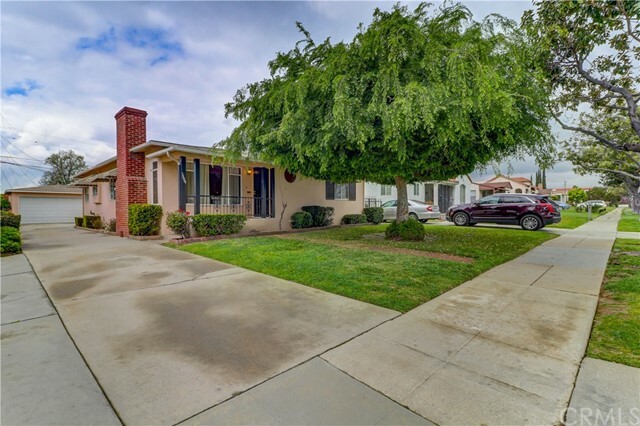 Located near Shopping centers and easy access to Freeway, yet privately located in a very residential neighborhood surrounded by excellent award winning schools of the Alhambra School District. Please go direct and show, there is a Supra set up." "Newly painted interior Midwick 3 Bedroom, 1.75 Bath home with 15 x 30 foot pool and unpermitted guest house. Featuring private Dining Room and a huge Family Room. Home has marbled countertop in Kitchen with Breakfast Area. Spacious Living Room with Hardwood flooring throughout (except for Family Room). Central Air and Heat, 2 walk in bedroom closets and one bedroom with Wardroom Mirrors and large closet. Guest house has a toilet and shower. Large covered patio for entertaining. Close to Atlantic Mall shops, dining, fitness center and markets. Easy access to freeways 10, 710, and 60. Only minutes to downtown L.A., Cal State L.A., and USC Medical Center." "Back on Market! Buyer Couldn't perform. This is a great opportunity to live or for investment. High demand Duplex 1401-1403 (2 units). Each unit has 2 bedrooms and 1 full bathroom. One of the units was recently remodeled. There's also a detached 2 car garage and large shared driveway. The lawn has been replaced with turf for low and easy maintenance. Home is located within walking distance to California State University Los Angeles. Not to mention short access to 710 and 10 freeways making it a short commute into Downtown Los Angeles. Home is a must see!" 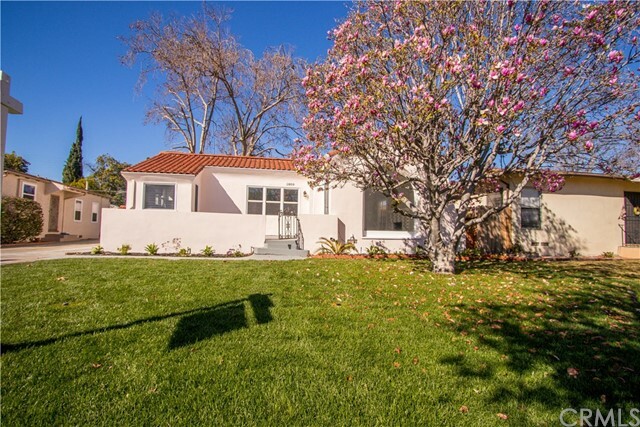 "One of Alhambra s Gems nestled amongst homes of distinction with manicured lawns and pride of ownership. This jewel is first time on the market and ready for its next forever owner. 3 large bedrooms 1 baths, formal living & dining room, large kitchen with cozy nook and a spectacular family room addition leading to the outside grounds complete with pool, & perfect for family fun & formal entertaining. Sell this one!!" "This is the Millionaire s Hi-Tech Resort fully loaded with what no other home can offer. You don t have to leave town anymore for a retreat. It s all at home waiting for you every day. Step through the front door and be treated to a wide open living room with beautiful hardwood floors and a dedicated dining room right next to it. Among all of this you will see the dazzling luxury kitchen stand out so perfectly with a brick arch made of reclaimed bricks from Chicago. One bathroom offers heated floors to make your feet smile and the other offers dual shower heads and body spray. Every detail well thought out and every piece is of quality and luxury that is likely to increase in value. The layout flows so smoothly it adds an extra touch of special you can t find anywhere else. Come and experience this home for yourself and you will know what special really means." "Built in late 2017 by one of the industry s best. DR Horton has tastefully captured modern living with the Midwick Collection . This home offers 3 roomy bedrooms and 3 bathrooms with a 2 car garage with storage. Lots of upgrades such as energy efficient dual pane windows, and solar panels. The great room opens to a gorgeous modern kitchen with stainless steel Range, Microwave and Dishwasher all surrounded by a large granite island with stunning white cabinets with upgraded flooring throughout that accent the entire home. Master suite offers shower and tub, plus double sinks. Large Spacious loft with ceiling fan pre-wire in all rooms. Spacious closets in all bedroom with a Jack and Jill bathroom. This home is Plug-in ready for your electric vehicle. This open and spacious floor plan is an opportunity you don t want to miss seeing. Owning this home changes your lifestyle. Enjoy the 3D virtual tour for more details." "LOCATION! LOCATION! 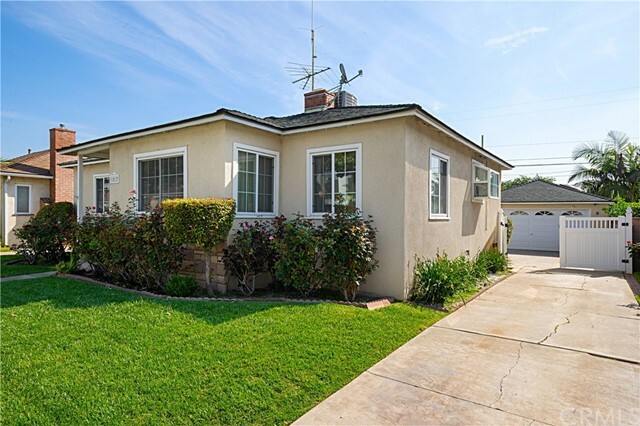 THIS 3 BEDROOMS SINGLE FAMILY HOME IS LOCATED IN A HIGHLY DESIRABLE MIDWICK TRACT OF ALHAMBRA. QUIET STREET IN A VERY CONVENIENT AREA. CLOSE DISTANCE TO GW MARKET,99 RANCH MARKET, RESTAURANTS AND SHOPS. LIVING ROOM WITH FIREPLACE. EXTRA ROOM FOR STORAGE."